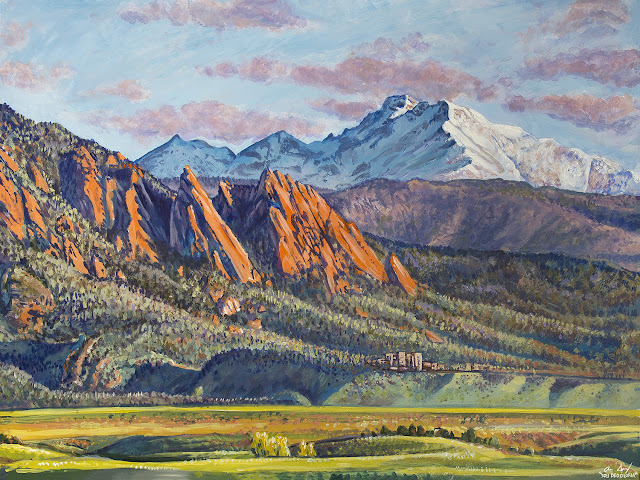 A friend and I visited one of my new favorite spots the other morning to shoot the Flatirons and Longs Peak. He had recently obtained a new camera body and wanted to test it out. We arrived before dawn on a very windy morning. 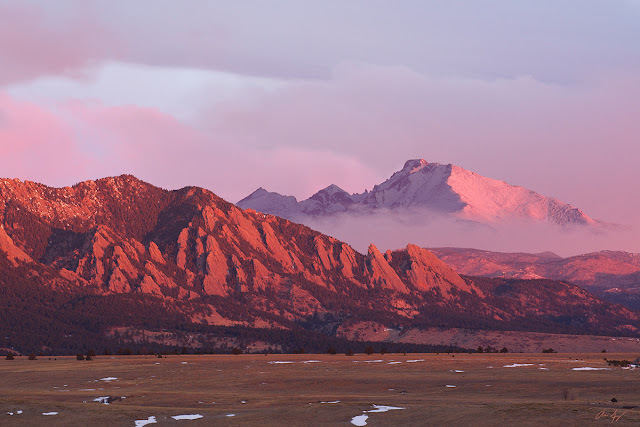 The wind died down a little as the sun rose and lit up the flatirons in a bright pink - the most intense color I've seen so far.